1. The Board sacked him for footballing reasons: this is possible, we have hardly set the world alight this season after all, but we are improving (slowly) and the Board clearly had enormous confidence in his initial appointment. Readers of this blog will know I've been behind him despite the results so far, and this would seem to be cutting off our nose to spite our face after allowing him to spend tons of transfer money. I'm simply not willing to accept (having seen virtually all of our games this season) that the 'writing is already on the wall' - indeed I think that most Charlton fans expected a transitional season at best following the steady deterioration under Curbs since Jan 2005. 2. He has resigned for personal reasons: a far more likely possibility in my view but one that would raise even more serious questions for the Board, especially if the commuting was an issue. I'm not sure the Board should have permitted him to take the job unless he was willing to move his family down South, so having done so, they have some serious explaining to do if it hasn't worked out. 3. The Board sacked him for non-footballing reasons: it's possible I guess that something has happened off the field that throws his judgment into question, but he seems far too professional and intelligent for that. 4. The Board has become aware of a the availability of a better candidate: again this would seem unlikely given there do not seem to be any obvious ones, unless something is happening at West Ham that puts Pardew's future there in doubt. And as far as Curbs coming back, this would be a nonsense in my view and unwelcome too, a bit like re-marrying your ex-wife. In short, whilst we are all disappointed with the results this season it is hard to see how this can be beneficial given that we now have a team whose key players were largely signed by Dowie, and were getting used to playing in a style that he was shaping. As I have stated elsewhere, only Billy Davies, of the candidates that were seen as realistic alternatives have been successful so far at their new clubs. Indeed Taylor's diabolical beginning to his Palace managerial career suggests that Simon Jordan's criticism of Dowie 'only' reaching the play-offs were unfair to say the least. Steve Coppell: would be an outstanding choice, but why would he come? Mike Newell: might be about to be sacked anyhow - no reason to think he's better than Dowie. Alan Pardew: could be tempted by an easier life, but if he's not pushed, it'll cost us. George Burley: stuttering start at Southampton - I think our Board rates him. Billy Davies: we offered him the job last time around after all. Dave Jones: doing an outstanding job at Cardiff. Bryan Robson: please Lord, no. 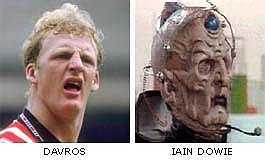 Nigel Worthington: did a decent enough job at Norwich, but again no better than Dowie. Ian Holloway: would be an entertaining road to relegation. Paul Sturrock: unfairly treated at Sheff Wed and Southampton - surely we can do better. Sven Goran Eriksson: may not be as crazy as it sounds - the FA can pay his initial wages. Colin Calderwood: highly promising young manager but surely a leap too far? Steve Cotterill: doing a fine job at Burnley, but has a mixed CV. Mick McCarthy: impressing doubters at Wolves - would know his way to the training ground. David O'Leary: probably got some unfair flack at Villa but wouldn't be a popular choice here. Glenn Hoddle: has all the credentials except intelligence and humility. David Platt: has never been very convincing though could work well under Les Reed? George Graham: a short-term survival option; keep your eyes on the till though. Lawrie Sanchez: a proud and intelligent man - Charlton surely a bigger pull than N Ireland? Graeme Souness: one of those managers rarely out of work for long....but hopefully a bit longer. Terry Venables: perhaps he misses club management? Perhaps not. In consideration of your/our thoughts what about Sir Chris Powell ? Or what about Gritty? Loves the club, would come cheap, could work with Reed and has a first team CV for saving a doomed club from relegation! are you guys anonymous because you come up with such ridiculous suggestions, gritt, powell "you cannot be serious"
Surely Eriksson's unrealistic - he'll get a bigger/better paid job soon enough. The field looks very like it did in the summer, i.e. pretty weak. Assuming Pardew isn't available, anyone else think Lawrie Sanchez might be a (relatively) good choice?